Fun tracks on the survey route near Pressentin Creek. Out of the water then back in. Who was it? Love the “tracks in the snow” photo. 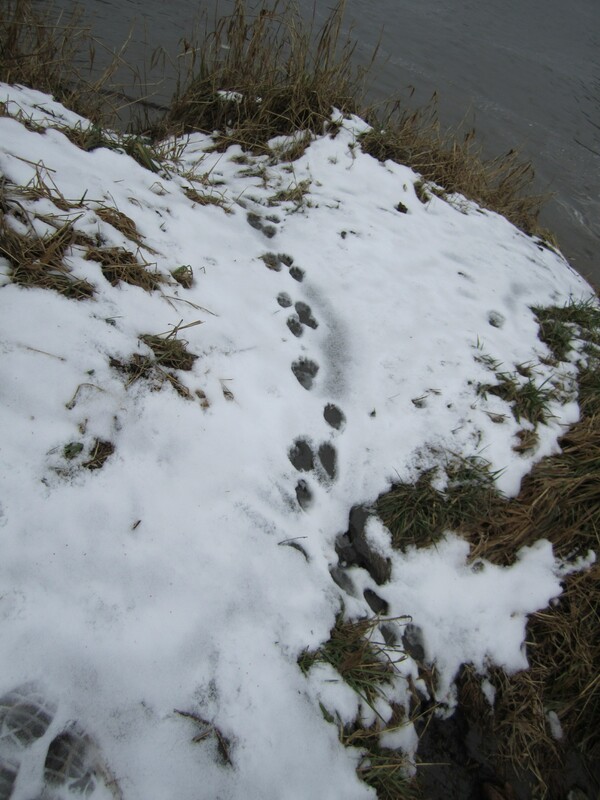 We were looking at the large beaver lodge in early January and saw, what looked to be, a bobcat running toward the river. Such a wonderful wildlife rich environment!